Ainu women and children. 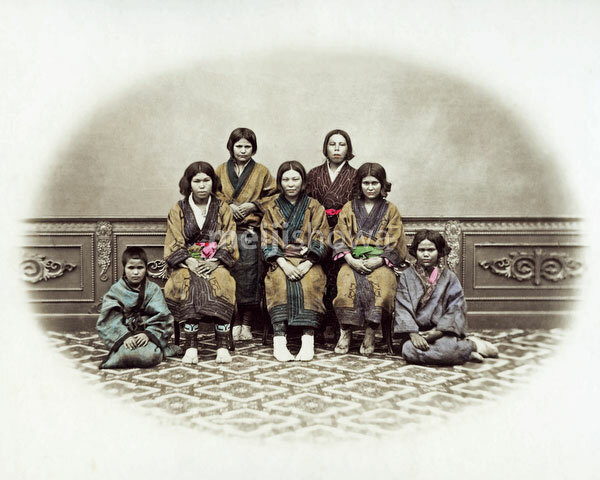 In 1872 (Meiji 5), twenty-seven high-ranking Ainu, seven of which were women, visited Tokyo from Sapporo. Japanese photographer Kuichi Uchida photographed them in his studio.